Rockwell Automation USBCIP is a RAUSBCIP hardware device. The developer of this driver was Rockwell Automation. The hardware id of this driver is USB/VID_14C0&PID_0033&REV_0001. 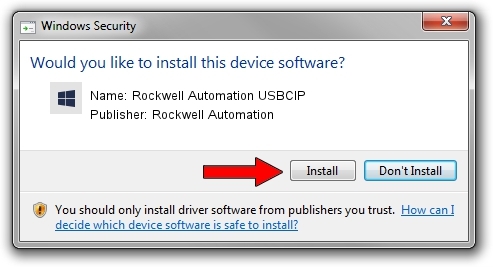 You can download from the link below the driver installer file for the Rockwell Automation Rockwell Automation USBCIP driver. The archive contains version 3.18.2.0 released on 2012-02-21 of the driver. Follow the driver setup wizard, which will guide you; it should be pretty easy to follow. The driver setup wizard will scan your PC and will install the right driver. Rockwell Automation applied a digital signature to this driver. Driver rating 4.1 stars out of 77935 votes. Take a look at the list of detected driver updates. Search the list until you find the Rockwell Automation Rockwell Automation USBCIP driver. Click the Update button.